As conditions worsen in the real world economy and political system, the propaganda fabricated in an attempt to cover up the truth becomes more absurd. Today’s retail sales report, prepared and released by the Census Bureau which in and of itself makes the numbers extraordinarily unreliable, showed a .6% gain in retail sales in July from June. As I’ll show below, not including the affects of inflation, in all likelihood retail sales declined in July. The biggest component of the reported gain was auto sales, for which the Census Bureau attributed a 1.1% gain over June. While this correlates with the SAAR number reported at the beginning of the month, the number does not come close to matching the actual industry-reported sales, which showed a 7% decline for the month of July. Note: the SAAR calculation is fictional – it implies that auto sales, which are declining every month, will continue at the same rate as the rate measured in July. Per the stark contrast between the Census Bureau number and the industry-reported number, the number reported by the Government is nothing short of fictional. The automobile sales component represents 20% of the total retail sales report on a revenue basis. If we give the Government the benefit of doubt and hold the dollar value of auto sales constant from June to July (remember, the industry is telling us sales declined sharply) and recalculated the retail sales report, we get a 0.03% gain in retail sales. Another huge issue is the number recorded for building material and sales. In the “not seasonally adjusted” column, the report shows a huge decline from June to July (a $1.3 billion drop from June to July. But through the magic of seasonal adjustments , the unadjusted number is transformed in a $337 million decline. Given the declining trend in housing starts and existing home sales, it would make sense that building and supply stores sold less in July vs. June. But the Government does not want us to see it that way. Yet another interesting number is in the restaurant sales category, which the Census Bureau tells us increased .3% in July from June. 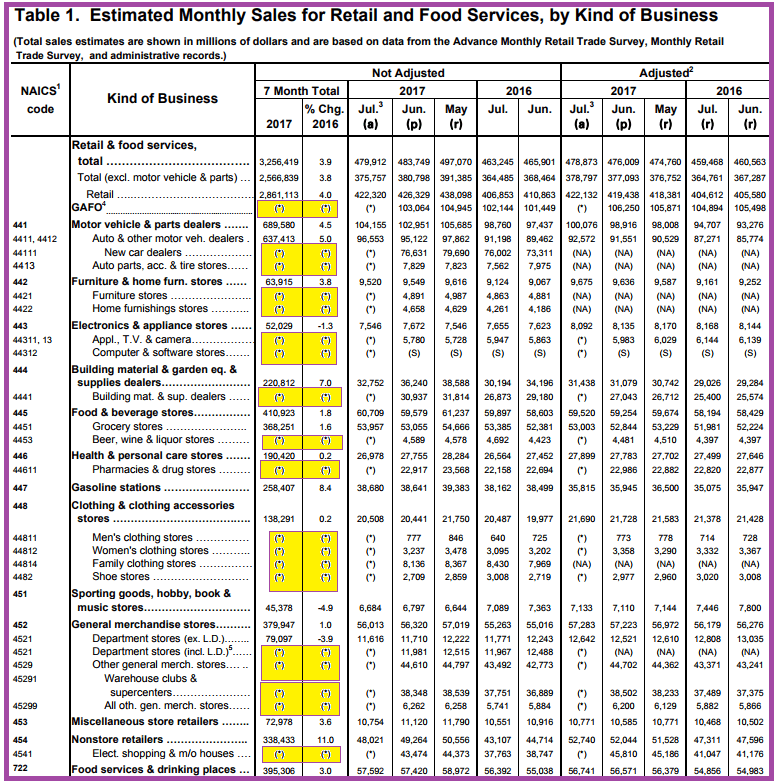 Restaurant sales are also one of the largest components of retail sales, representing 12.1% of what was reported. This number was diametrically opposed to the Black Box Intelligence private sector report for monthly restaurant sales, which showed a 2.8% drop in restaurant sales in July (a 4.7% drop in traffic). The Census Bureau survey for total retail sales is based on 4,700 questionnaires mailed to retail businesses. The Black Box restaurant survey is based on data compiled monthly from 41,000 restaurants. We don’t know how many restaurants are surveyed and actually respond to the Government surveys. The sections highlighted in yellow are marked with an asterisk. In the footnotes to the report, the Census Bureau discloses that the asterisk means that, “advance estimates are not available for this kind of business” (Retail Sales report). In other words, a significant percentage of the Government’s retail sales report is based on guesstimates. Lick your index finger and stick it up in the political breeze to see which way you need to make the numbers lean. I calculated the total amount of sales for which the Census Bureaus claims is not based on guesstimates. 45.3% of the report is a swing and a miss. Not coincidentally, the areas of its report that conflict directly with actual industry-provided numbers and area guestimate categories happen to be auto sales, building materials and restaurant sales. Get the picture? Just like every other major monthly economic report – employment, GDP, inflation – the retail sales report is little more than a fraudulent propaganda tool used to distort reality for the dual purpose of supporting the political and monetary system – both of which are collapsing – and attempting to convince the public that the economy is in good shape. If anyone has the credibility and knowledge to excoriate the Government’s new home sales reporting, it’s John Williams. The Census Bureau’s data collection has been marred historically with scandals and severe unreliability. The reporting for new home sales is a great example. New home sales represent about 10% of total home sales – i.e. the National Association of Realtors has about 9-times more homes for which to account than the Government. And yet, the monthly reporting of new home sales has considerably more variability and less statistical reliability. It is subject to much greater revisions than existing home sales. How is this even possible considering the task of tabulating new homes sold is far easier than counting existing home sales? Today’s report is a perfect example. The Census Bureau reports that new home sales increased 2.9% over April. Yet, at the 90% level of confidence, new home sales might have been anywhere from down 10% to up 15%. Care to place a wager on real number considering that spread? April’s number was revised upward by 24k, on a SAAR basis. Speaking of the SAAR calculation, it’s amusing to look at what that can do to the number. The seasonally adjusted annualized rate number takes a statistical sample, which in and of itself is highly unreliable, and puts it through the Government’s X-13ARIMA-SEATS statistical sausage grinder. Then it takes the output and converts it into an annualized rate metric. Each step of the way errors in the data collection sample are multiplied. To make matters worse, new home sales are based on contracts signed. Often a down payment, and almost always financing, are not yet in place. The contract cancellation percentage rate for new homes typically runs in the mid-to-high teens. By the way the Census Bureau does not incorporate cancellations into its data or its historical revisions. One last point, if today’s reported number is even remotely correct, how come homebuilders have been cutting back on housing starts for the last 3 months? The last time starts declined three consecutive months was late 2008. In short, the new home sales report for May is, in all probability, borderline fake news. At the very least, it’s yet another form of Government propaganda aimed at creating the illusion that the economy is stronger than reality. 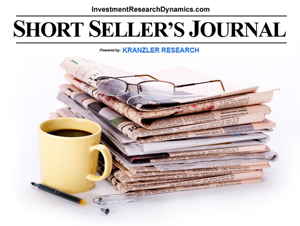 The next issue of the Short Seller’s Journal – published Sunday evening – will focus on the housing market, which is getting ready to head south – possibly at a shocking rate. Unfortunately, lenders, homebuyers, and the Government failed to learn from the previous housing bubble and now all the attributes of the previous housing bubble top are emerging. I will be reviewing the market in-depth and presenting some ideas to take advantage of historically overvalued homebuilder stocks. There’s a direct correlation between the scale and quantity of lies coming from Hillary Clinton and the Government. Why? It’s election season, of course. It’s easy enough to dismiss Hillary’s plea for debate viewers to go to her campaign website to see “fact” checking. We know how easy it is for her to hide the truth when she has assistance from the State Department, FBI and Obama. If you believe Hillary Clinton, you also believe in the Easter Bunny. But it’s also easy to fact check the Census Bureau’s retail sales reports. Now, it’s easy enough to believe that the Government would manipulate the statistics in order to help the incumbent party maintain control the White House. But it’s also easy to fact-check the Census Bureau’s tabulations for monthly retail sales, notwithstanding the fact that the Census Bureau is caught producing fraudulent statistics on a regular basis. Today, for instance, they released their “advance estimate” for retail sales for September. The Census Bureau would have us believe that retail sales increased .6% from August to September. But this was based on the Government’s politically expedient “seasonally adjusted” calculation. Theoretically, the seasonal “adjustment” offsets the day-count difference between August and September. But what about the 3-day Labor Day holiday weekend? This year Labor Day fell on September 5. Presumably that weekend should have compensated for any “seasonal”differences between August (back to school?) and September. BUT on a sales/day basis, September retail sales plunged from August. Here’s a definitive “fact check” on the Census Bureau retail sales report. The retail sales report is showing a 1% increase per the “adjusted” number from August to September. However, Black Box Intelligence, the best source for both private and public company restaurant industry data, is reporting that restaurant traffic fell 3.5% in September from August. In fact, traffic counts have dropped at least 3% in four of the last six months. Same-store-sales dropped .5%. This private sector source of data is consistent with data that I have been presenting in the Short Seller’s Journal for trucking and freight shipments for August and September and for actual auto sales numbers, which are declining at an increasing rate, along with the rise in auto loan delinquencies. In fact, according to Fitch the default rate in subprime auto loans is now running at 9% and is expected to be at 10% by year-end. Fitch is usually conservative in its estimates. I would bet the real default rate will be well over 10% by the end of 2016. One final significant datapoint released last week was auto sales for September. The “headline” report showed a 6% SAAR (Seasonally Adjusted Annualized Rate) gain in September over August for domestically produced autos. However, auto sales typically increase from August to September as Labor Day sales drive September car sales. Year over year, domestic car sales plunged 19% and truck sales were down 1%. The bottom line is that most, if not all, data coming from private-sector sources conflicts and undermines the “seasonally adjusted” garbage data reported by the Government. Just like all other news reported by the media that is sourced from the Government, the Government economic reports are yet another insidious form of propaganda tailored for political expedience. But propaganda does not create real economic activity and the middle class is becoming increasingly aware that it’s being told nothing but lies from the Government. Today’s Government generated retail sales report for September is a prime example. The Government releases its retail sales report for December this Friday. The Census Bureau is the front-man for this report, which means that we can expect something that conforms to the highest standards of statistical manipulation. But the truth is, we already know based on data released by private-sector entities that retail sales in December, and for the entire fourth quarter, were a disaster. Six days ago, Macy’s announced that its comp store sales dropped 4.7% in November and December vs. those two months in 2014. Recall that the Government reported that retail sales actually fell nearly 1% in December 2014. In addition, Macy’s slashed another 3,000 employees. I just finished perusing the Cass Freight Index Report for December. It showed that freight shipments in December dropped 5% vs. November and 3.7% vs. December 2014. This would include goods transported by train, truck, ship or plane. The reason freight shipments decline is because orders from retailers decline. The reason orders from retailers decline is because consumer demand has declined and inventories are high. This graph shows the year over year change in the ISM backlog of orders index. This graphic reflects a rather sharp decline in consumer spending since May 2015. Bloomberg was uncharacteristically candid in its assessment. Typically Bloomberg will apply a heavy dose of “spin” when an economic report falls well short of expectations. I do believe, however, after the steaming pile of smelly brown stuff that the Census Bureau threw at us with its non-farm payroll report, that we can expect an encore performance of scatological proportions this Friday when the December retail sales report is released. And that’s fine with me. One of my short-sell ideas that will presented in Sunday’s Short Seller’s Journal weekly report is going to be a retailer. 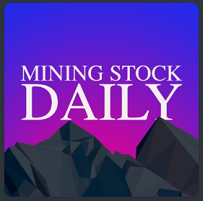 It would be ideal if the retail stock sector experiences a nice bounce on Friday in order to improve the entry price for shorting this particular stock. 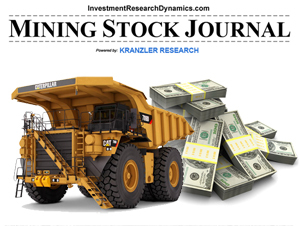 You can sign up here for this report: Short Seller’s Journal. Rob from the Netherlands: I loved your latest SSJ report. Especially THE weekly shorts performed wonderful. Easy to read even for non-native speakers and non-financial educated people. Not only do you provide clear entry information but more important to me how and when to sell/ take profit on THE trade. Indeed you are one of few bringing shorts to the attention of the retail investor. Note: I had an issue with my domain registration which disrupted access to my site for part of the day on Tuesday. Everything should be cleared up and I seem to be running faster than before. If you have trouble loading this site, try clearing out your browser cache. After tearing apart the Census Bureau’s new home sales report for September yesterday, there is no doubt in my mind that the actual number of new home sales for the month of September was significantly lower than was reported in the Census Bureau’s seasonally adjusted annualized rate metric that is reported in the headlines. If you look at the unadjusted monthly number reported that is in the report but not reported, new home sales plunged 16% from August to September. Seasonality? No. I looked at the data for the previous three years for August and September, which is available on the CB’s website, and there is no seasonal affect that shows up in the data. In fact, new home sales increased by small amount from August to September last year. I have written a detail analysis of my findings in this Seeking Alpha article: September New Home Sales Fell More Than Reported. Unless the Fed and the Government re-up another round of what will have to be massive monetary stimulus and taxpayer subsidy of home purchases by a people who can’t afford to support the monthly cost of home ownership, the housing market is headed back into the vicious bear market that began when the housing bubble popped but was kicked down the road by the Fed and the Government. 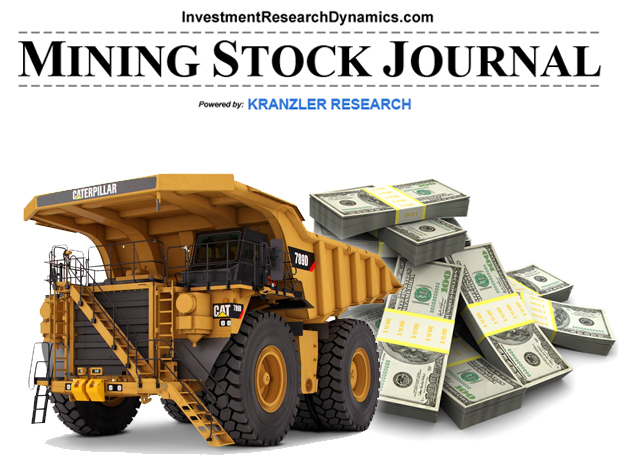 My latest homebuilder report highlights a homebuilder that will have its stock price more than cut in half as this scenario unfolds. In addition to a litany of red flags throughout its financials, it is being investigated by the IRS: Red-Flag Alert Homebuilder The stock is already down over 5% from when I published the report last week. I’m right about the housing market and I’m right about Amazon.com. The only factor I can’t control is the amount of fraud and corruption that is being engineered by Wall Street in conjunction with the Government in order to try and make it look like the reality that analysts like me report is wrong. August new home sales were reported originally at a 552k annualized rate. The “annualized rate” format is important to understand because it magnifies any estimation and “adjustment” (i.e. manipulative) errors by a factor of twelve (12x). Here is the original Wall St. Journal headline announcing the “good” news from August: “U.S. New-Home Sales Up 5.7% in August – Single-family home sales rise to new post recession high.” Don’t forget, the market trades off of this headline. This morning the Census Bureau reported that September’s seasonally adjusted, annualized rate of sales had plummeted to 468k, or nearly 100k from the original August report. But the CB decided that it’s original estimate for August was off by 22k, or 4%. Thus, the media is reporting an 11.5% drop in home sales from August for September. However, the September report is 15% below the original estimate for August – the number which the market originally incorporated into its trading models. The 468k missed Wall Street’s consensus estimate of 549k. Regardless of what the propaganda laced media is reporting, the housing market is starting to drop quickly. Price does not reflect supply/demand, it reflects rampant inflation that is being manifest in insane degrees of debt-financing which enable homebuilders to raise prices because the amount someone pays who is dumb enough to buy a new home is now a function of how much monthly payment they can afford. That sign is not the the type of promotion you would see in a market in which supply is limited and demand is strong. That is the unmistakable indicator of a homebuilder desperate to unload inventory. The homebuilders are insanely overvalued relative to their underlying fundamentals, especially debt and inventory levels, which are higher now relative to sales than they were at the peak of the housing bubble. Furthermore, all of these homebuilders are generating highly negative cash flow from their operations because they are overbuilding inventory to an extreme degree. How many of you reading this were aware that new home prices are down 12% since October 2014? Do not believe the propaganda. The headlines are full of lies. The numbers themselves are lies. The 2.2% gain in new home “sales” from the Census Bureau was driven by what is likely a corrupted “sales” report from the northeast region. I am putting “sales” in quotes because “new home sales” as reported by the Census Bureau are based on contracts signed. How many of you were aware of that? On average right now roughly 20% of all contracts signed are cancelled. So the report has a natural 20% error built into it. But wait, it gets better. According to the Census Bureau’s stated methodology, in areas where it can’t get data on contracts from homebuilders, it resorts to “guesstimating” the number of new contracts based on the number of permits filed in that area. In other words the Census Bureau’s data is outright an insane guess in some areas. The graph above shows the year over year monthly change in private residential construction spending. You can see that the metric is falling off a cliff, just like it did when the Housing Bubble 1.0 popped. You shouldn’t need any more evidence to tell you that what is being reported by the media, Larry Yun, Wall Street and the Government is a complete fraud. As you can see from the graph above, the homebuilder sector is down 5.3% since its recent high close on April 1. During the same time period the S&P 500 has been flat. This divergence from the market indicates to me net selling by “smart” money. The pattern in the graph above also correlates with the move in mortgage rates from April to the present. If mortgage rates continue to trend higher, I believe it will exert forceful downward pressure on homebuilder stocks. What the headlines do not report is that the statistical margin of error at the 90% confidence level was plus or minus (+/-) 77.1%. This is the epitome of statistical measurement failure and it leads one to question the veracity of any of the Census Bureau’s economic reports. When a flawed statistic for one month is converted into an “annualized rate,” it compounds the error and produces an “annualized rate” that is not even remotely representative of the reality that statistical sample is supposed to represent. This is clearly the case with this latest new home sales report. Another huge flaw in the Census Bureau’s methodology is that in areas in which it was unable to get data from homebuilders on new contracts signed during a reporting period – remember: new home sales are based on contracts signed, not closings – it uses the number produced for housing starts to estimate the number of sales in that area (this fact is on Census Bureau’s website). This in and of itself is highly flawed. In no remote way does a housing “start” necessarily translate into an actual sales closings. “Starts” are always running at a measured rate that is significantly higher than actual sales. The reporting and accounting fraud that has become so pervasive in our economic and political system has particularly affected reports in the housing sector. This is because this highly questionable data purporting to show a picture of a recovering economy is about the last area which the propagandists and snakeoil salesmen can use to promote their agenda. However, this is the same movie that was playing in 2005, including and especially the statements issued by both the National Association of Realtors and CNBC that the soaring home prices were not indicative of a bubble: CNBC/Larry Yun (NAR chief economist). The advent of 0-3% down payments and calculating the price to pay for a home based on the monthly payment one can afford has temporarily “financialized” homes. In other words, home sales and prices and become a function of the cost and availability of the amount of financial paper required to affect a home sales transaction. The cost of the paper is close to zero now. The availability of paper needed to make a sale happen is entirely a function of the close to $2 trillion the Fed has printed and injected into the mortgage market. The same report that produced this data also shows a significant deterioration in the average of FICO score of the average Fannie Mae borrower. Escalating prices, escalating debt, declining loan quality – they all add up to one huge housing market bubble that has been blown by Bernanke and Yellen. This is going to end up with a worse outcome than occurred in the 2005-2009 period. Back then interest rates were significantly higher and the Fed was able to contain the damage by taking rates to zero and printing trillions. Those “weapons” to combat bubble deflation are no longer available (although I would bet we’ll see a lot more printing). As the housing market stalls out and begins to fall, the absence of true underlying fundamentals will cause a vacuum and induce a plunge that will be significantly worse than what occurred the last time around. Do your best to stay out of the way. The Kool-aid drinking Keynesian economists are attributing the poor GDP report for Q1 to a drop in exports. That’s an absurd notion, of course. Especially if we were to re-adjust the GDP estimate with a true GDP-price deflator (inflation measure). These guys always have some excuse, whether its the weather or the port strike on the west coast. How about just the simple fact that the overleveraged, underemployed American middle class has finally hit a wall in its ability to consume beyond everyday necessities? Yes, exports were down in Q1, but I guess that has nothing to do with the fact that the entire global economy is in the throws of an economic collapse. Real imports of goods and services were estimated to be up 1.8% in Q1 vs. 10.4% increase in Q4 2014. In other words, exports declined but the rate of imports slowed considerably. This graph shows the monthly % change (left axis) and year over year % change (right axis, red line) in total retail sales. As you can see from the blue line, there’s been a decleration in year over year retail sales since May 2013. So much for the “polar vortex” fairytale. Retail sales have been slowing down starting six months before (July 2013) the polar vortex allegedly affected the ability of consumers to use their credit cards in a manner which pleases the Keynesian central planners. The red line shows us that the deceleration in retail sales growth accelerated in October 2014. This includes three months in a row (red box) of negative monthly retail sales. As everyone knows, auto sales have been fueled by the a bubble in subprime auto loans – auto loans which are starting to go delinquent and default at an alarming rate. If you strip out this artificially induced demand for new cars, retail sales have been declining on a year over year basis since mid-2011. No wonder the Fed implemented “Operation Twist” in late 2011, followed by QE 2 shortly thereafter. Furthermore, the year over year decline in retail sales ex-autos started to accelerate downward in late 2014. One last data point. Construction spending. To the extent that there’s been any “strength” in the economy, it’s come from auto sales and the housing market. Auto sales have been fueled primarily by an explosion in subprime auto lending, market by extraordinarily easy lending standards and extending payment periods out to 84 months, which is longer than has been typical. Delinquencies are already rising quickly. The other source has been 0-3.5% down payment mortgages made available by the Government-owned mortgage entities. BOTH sources of economic activity have been funded by the Fed’s QE program. The Census Bureau provides the data input for the economic series. As you can see, by the Census Bureau’s own calculations, the decline in construction spending runs completely contrary to the wildly absurd housing starts report the agency released earlier today. One would think the Census Bureau and the Government could at least manage some consistency among its data-reporting fabrications. The bottom line is that the primary sources of economic activity, retail sales, the housing market and auto sales are all beginning to slow down – retail sales rather quickly. This assertion is reinforced by the steady stream of economic reports released over the last few months which show that nearly all economic measurement data series are dropping at the same rate at which they were falling in the 2008-2009 period. Regardless of the flood of Orwellian propaganda coming from Wall Street, the financial media and the various Government and quasi-Government agencies, by all valid economic activity metrics the U.S. economy is entering into crash mode. The problem faced by all of us is that the crash that is in front of us will be many multiples more severe than what occurred in 2008. The Shadow of Truth did an interview with NY Post report John Crudele, who is the journalist who caught the Census Bureau fraudulently reporting employment data: The Unemployment Rate In And Of Itself Is A Joke. Crudele and the NY Post currently have six Freedom of Information Act requests with Census Bureau, to which the CB refuses to respond or hand over documents. Some of them are more than a year old. If the Census Bureau/Government does not have any foul play to hide, then why not respond the to the FOIA requests and dispel all doubt? The fundamental economic data as measured by the market does not support the data being reported by the Census Bureau. If housing starts were flourishing, the demand for lumber from new homebuilders would be pushing the price of lumber higher. Given that we know the Census Bureau has been fraudulently reporting employment data, it is highly probable that the Census Bureau’s data collection and reporting process with respect to housing starts and new home sales is corrupted. As you can see from the way in which the Census Bureau defines a “housing start,” all that is required to be counted is basically any homebuilder sticking a shovel in the ground of a piece of property with an authorized building permit. The CB has stated that if it can’t collect data on new home sales in certain regions, it will “estimate” the number of new home sales based on housing permits filed. I would suggest the same absurd technique is utiltized with respect to “collecting” data on housing starts. Regardless of whether the number reported today by the Census Bureau reflects any remote semblance of reality, if homebuilders are indeed building more homes, the result will be little more than the continued pile-up of homebuilder inventory. In fact, as I’ve shown in my homebuilder research reports, new homebuilders have amassed a record level of inventory. This inventory is piled on top of a unit sales run-rate that is roughly 1/3 the peak level of sales in 2005. The question is, in the context of the rate of homeowership in ths country continuing to plunge to multi-decade lows, the continued lack of participation in home sales by the first-time buyer, and a massive pile-up on in high-end inventory, who in the hell is going to buy all of these supposed new homes being built?